Without two stars and most of their offensive line, the Millikan Rams were unable to stop the visiting Redondo Sea Hawks when they needed to most, losing 31-16. 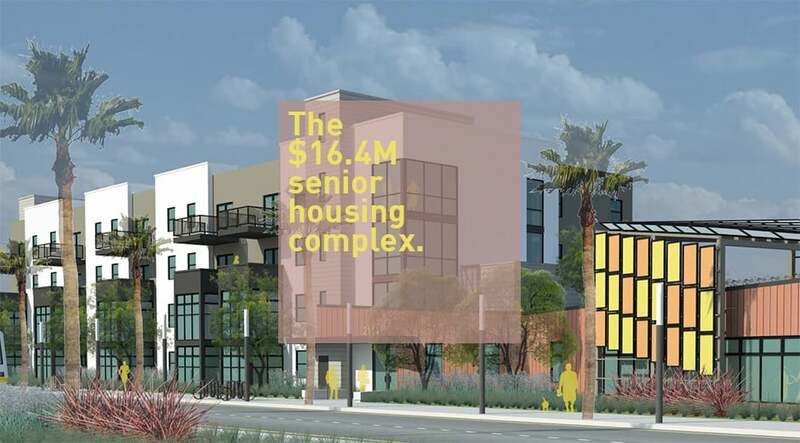 A 41-unit, $16.4M senior housing unit at 21st and Long Beach Blvd.—just slightly north of one of the county’s most recognized senior housing complexes, the Long Beach Senior Arts Colony—has broken ground. A Meta Housing project—also part of the aforementioned Senior Arts Colony—worked closely with the Los Angeles County Department of Mental Health (DMH) and the California Housing Finance Agency (CalHFA) in order to make the complex not just a place to live, but a place where seniors can find assistance with employment should they seek it, money management, and educational services. Design by PSL Architects, the four-story building echoes the aesthetic of the Colony but more geometric in shape and driven by larger portions of glass. One- and two-bedroom floor plans will be offered while the space will feature a community room, community kitchen, library, and roof deck. The project was financed by Bank of America, the Housing Authority of the City of Long Beach, the California Tax Credit Allocation Committee, California Community Reinvestment Corporation, and the Federal Home Loan Bank of San Francisco. The Long Beach and 21st Apartments will be located at 2114 Long Beach Blvd. It is expected to be completed by the summer of 2015.